Cyclist-dies-after-crash-in-rio-paralympics. RIO DE JANEIRO, A cyclist from Iran died after a crash in the men’s road race in the Rio Paralympics — the first athlete to die in the competition for disabled athletes. Bahman Golbarnezhad, 48, crashed Saturday on the downhill slope of the C4-5 classification road race for athletes with lower limb impairments or amputations. 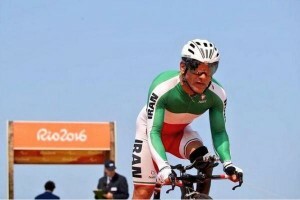 Golbarnezhad, who took up paracycling in 2002 and was 23rd in the 2012 Paralympics in London, finished 14th in the time trial event Wednesday. The Iranian and Paralympic flags were lowered to half-mast at the Olympic Village. In 2010, Nodar Kumaritashvili of Georgia died during luge practice.in Vancouver, British Columbia. Last month during the Olympic Games’ women’s road race, Dutch cyclist Annemiek van Vleuten crashed while leading the race on a different course.